When we urinate, our bodies eliminate liquid waste consisting of water and salt as well as the chemicals urea and uric acid. Most uric acid is produced naturally in the body; the rest is converted from substances in certain foods, called purines. If uric acid levels are too high, they can cause a condition known as hyperuricemia, a risk factor for both gout and kidney disease. Most uric acid dissolves in the blood, then travels to the kidneys to be excreted in urine. Normally, people maintain a stable serum urate level between 4 and 6.8 mg/dl, as well as a total body uric acid count of 1000 mg. 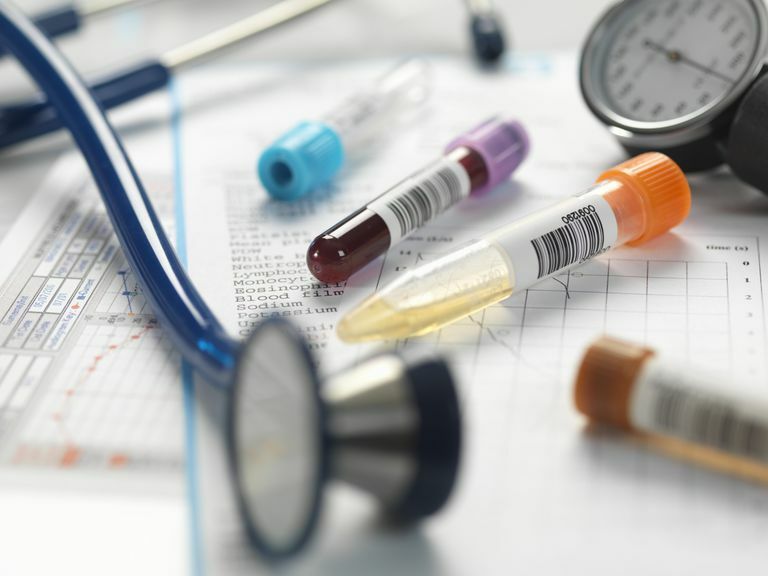 If you produce too much uric acid or are unable to eliminate enough of it, you may have elevated serum urate levels, which can lead to hyperuricemia. A blood test is one way to check your uric acid level; it can also be checked using a urine sample. Ideally, your serum uric acid level should be 6.0 mg/dl or lower. A uric acid level of 6.8 mg/dl or higher indicates hyperuricemia. While hyperuricemia itself is not a disease—and in some cases causes no symptoms or problems—a prolonged state of this condition may lead to the development of crystals, which can be problematic. The two most common conditions that can result from high uric acid levels are gout and kidney disease. With gout, uric acid crystals build up in the joints, promoting inflammation and the breakdown of joint cartilage. Symptoms include pain, swelling, redness, stiffness, deformity, inflammation, and limited range of motion. Kidney stones can also cause urinary tract infections (UTIs) because they harbor bacteria. The symptoms of a UTI can include any or all of the above; fever or chills can also be present. Over time, kidney stones and other forms of kidney damage can lead to chronic kidney disease, which makes it more difficult to get rid of uric acid. Untreated kidney disease can ultimately lead to kidney failure or loss of kidney function. If you're not having symptoms, you don't necessarily require treatment for hyperuricemia. When symptoms are present, a diet low in purines can help regulate uric acid levels. If that is not effective, your doctor may prescribe a medication to control your levels. It's also important to drink at least 8 ounces of water a day to help the kidneys flush out uric acid. Some studies suggest that drinking coffee on a regular basis can prevent the development of gout. Benemid (probenecid): Known as a uricosuric medication, this drug blocks the reabsorption of urate to prevent crystals from depositing. Zyloprin (allopurinol), Uloric (febuxostat): These xanthine oxidase inhibitors (XOIs) reduce the body’s production of uric acid. Zurampic (lenisurad) is prescribed with an XOI to increase its effects. Krystexxa (pegloticase): Pegloticase is given by intravenous infusion. It changes uric acid into a substance called allantoin that your body can eliminate easily. It is reserved for people for whom other gout medications have not worked. It is important to know your uric acid level, just as it is important to know your cholesterol or blood glucose levels. Talk to your doctor if you are experiencing sore joints or frequent urinary tract infections. If you've had attacks of gout, you should have your uric acid levels tested every six months to ensure that they remain under 6.0 mg/dl. Uric Acid - Blood. MedlinePlus. About Uric Acid. Gout & Uric Acid Education Society. Kelley's Textbook of Rheumatology. Ninth edition. Elsevier. Chapter 94: Etiology and Pathogenesis of Hyperuricemia and Gout. Purine and Pyrimidine Metabolism. Diffen.